To celebrate World Poetry Day on March 21, Lyrikline publishes six fine new poets from around the world between March 19-21 (find all their names below). 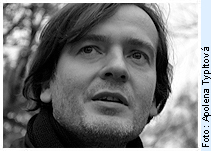 One of them is Wallonian poet Laurence Vielle, the first poet contributed by our new Wallonian network partner L’Arbre de Diane. On the 21st of March, World Poetry Day, the National Poet of Belgium, Els Moors, invites all people worldwide to gather their most beautiful odes and elegies on their cities (/ countries / states / …) and make them public. In times of gentrification, mass tourism and worldwide migration we are craving for lonely flâneurs and notorious wanderers who want to lay bare the mysterious heart of their cities. Are you still in love with the city you were born in? Were you pushed on by love, or obliged to leave your hearth and home? Adopt your city by writing an urban elegy and take part in the writing of the most exotic Lonely Planet at this time: The adopted cities. Would you like to contribute to this special worldwide anthology, and motivate others to join? 2. Post your poem on all your possible (social) media and encourage fellow citizens to adopt a city with a poem and to join the action. Everybody can share their city-poem on our website. On Facebook, please use #adoptedcities so we can follow and share your posts. 3. Enjoy an easily accessible and interactive online anthology, a playful way to motivate people to read and write poetry! Read the poems of Els Moors, “Dichter des Vaderlands” of Belgium here. Read the city poem of her predecessor and ambassador Laurence Vielle here. We would – very much – like people from all over the world to take just a minute to think about poetry (and all its modern interpretations) and to write even a short piece of poetry. Let’s make a tribute to poetry and to our world together! With the start of 2018 we’ll be able to present more poetry from India on Lyrikline thanks to a newly established partnership in India. The Enchanting Verses Literary Review and poet and editor Sonnet Mondal as its country-editor for India take care of the selection and recording of new Indian poets. Their first contribution to Lyrikline is poet Anju Makhija and we’re glad that more new voices are already being prepared. Many thanks to Sonnet Mondal not only for his efforts in presenting Indian poetry but also for an insight into poetry in India he compiled, giving us an idea about the developments from the beginning to today, the diversity of languages and the various traditions of this rich poetry universe of India. The literary history and tradition of India spins around poetry. From the Vedic times to the 21st century, Indian poetry has come a long way through epics, cultural intersections, conquests, devotion, local dialects, and festivals. Vedvyasa’s Mahabharata, considered as the longest epic poem in the world is so huge that there’s a saying — ‘What’s missing in the Mahabharata doesn’t exist in India’. With 110,000 couplets in eighteen sections — this epic is about seven times the combined length of Homer’s the Iliad and the Odyssey. Other India epics that substantially used poetry as the medium of expression were — Valmiki’s Ramayana, Māgha’s Shishupala Vadha, Māgha’s Kiratarjuniya, Aśvaghoṣa’s Buddhacarita and Jayadeva’s Gita Govinda. Even in these times — poetry flourished in other languages — in other parts of the country. The Sangam literature era — from 300 BC to 300 AD contains about 2381 poems in Tamil composed by 473 poets from diverse backgrounds. The Bhakti movement during the 15th and 17th century AD saw an emergence of devotional poetry, the influence of which still remains contemporary. Influenced by Vedic beliefs — the works of poets like Andal, Kabir, Tulsidas, Ramananda, Tukaram, Mirabai, and Narsinh Mehta still remain a muse of the post-post modern period. Though most of the early Indian poetry appeared in Sanskrit — there was a shift in course of language towards the medieval period. Amir Khusrau penned mainly in Persian, but composed almost half a million verses in Persian, Turkish, Arabic, Braj Bhasha, Hindavi as well as the Khadi Boli. Later Hindus started writing in Persian and this led to the development of Indo-Persian literature. The Abd-Allāh cites over 130 names of Hindu-Persian poets who lived in the late 18th and 19th century. The first evidence of a Hindu writing Persian poetry is attributed to a Brahmin named Pandit Dungar Mal. In late 17th century — Sikhs also started contributing to the Persian poetry of India, and Guru Gobind Singh himself wrote an extensive Persian poem — Zˈafarnāma. From Jayadeva in 12th century and Amir Khusrau in the 15th century, to Michael Madhusudan Dutt and Tagore in the 19th Century, poetry in Indian vernaculars reigned supreme. The father of Bengali Sonnet, Michael Madhusudan Dutt brought a revolution by penning the famous tragic epic — Meghnad Bodh Kavya and also by introducing blank verse in Bengali poetry. The local and regional languages first encountered English in the beginning of the 18th century — with the break-up of the Mughal empire to British India. The first Nationalist Poet of Modern India- Henry Louis Vivian Derozio — considered the father of Indian English Poetry wrote in English and was much influenced by the English Romantic poets. Tagore translated his own work into English — in his book Gitanjali. Later, Nissim Ezekiel and A.K. Ramanujan wrote much under the influence of post-war American Poets and some British poets like Wilfred Owen. Ramanujan travelled to America in 1959 and stayed in Chicago until his death in 1993. He wrote profusely during these years. Indian English poetry- from Derozio and Toru Dutt through Nissim Ezekiel, A.K. Ramanujan and Jayanta Mahapatra to present day poets is recognized worldwide. It has come up as a form that has its own tradition, lyrical quality, approach, delivery and style. Inspite of the surge of Indian English literature, regional language literature through the hundreds of languages spoken in India today — has remained close to the hearts of readers. Regional languages in the country has given rise to many countries within one country bounded by boundaries without lines. Regional poetry in India, allows an insight into the diverse depictions and presentation of same things by different regions of India. Delving into Indian poetry, is like descending an age old cave in search of minerals, wall arts and history. Selecting poets for Lyrikline cannot be all inclusive but there would be a constant quest to include the best contemporaries from various Indian languages. ​ref:​ (Abd-Allāh, p. 216; McLeod, p. 80; Shackle and Mandair, pp. 137-44). Sonnet Mondal is the author of Ink and Line and five other books of poetry. Winner of the 2016 Gayatri Gamarsh Memorial Award for literary excellence, Mondal was one of the authors of the ‘Silk Routes’ project of the IWP, University of Iowa, from 2014 to 2016. He is the editor-in-chief of the Enchanting Verses Literary Review, and lives in Kolkata. Petr Borkovec (*1970) ist ein weit über Tschechien hinaus geschätzter Dichter. Wir kennen ihn, seit er 2004 als Gast des Berliner Künstlerprogramm des DAAD nach Berlin kam. Fast genauso so lange kann man seine Gedichte schon auf lyrikline hören; nun um 5 neue, 2017 aufgenommene Gedichte erweitert. Die Begegnung mit den Arbeiten eines jungen Dichters lässt den Lyriker Petr Borkovec über die tschechische Lyrik der letzten zwanzig Jahre nachdenken. Heute habe ich einen Brief mit Gedichten bekommen, von einem Autor, der 1990 geboren wurde. Die Gedichte sind, glaube ich, gut, einige sind mir sehr nahe, bestimmt werde ich was davon drucken. Der Dichter wurde in dem Jahr geboren, in dem ich mein erstes Buch veröffentlicht habe. Beide sind also gleichalt. Es wäre so schön, sage ich mir, wenn ich seine Lyrik überhaupt nicht verstünde, spüren würde, wie fern sie mir in jeder Hinsicht ist, und gleichzeitig von ihr fasziniert wäre, ihr verfiele. Doch das passiert nicht. Ich lese sie, wähle aus, sortiere, ordne, einige Gedichte lege ich beiseite. Entweder ist aus mir ein literarischer Routinier geworden (was wahrscheinlich ist) oder die tschechische Lyrik hat sich in den letzten zwanzig Jahren nicht allzu sehr verändert. Ich weiß es nicht. Normalerweise denke ich darüber nicht nach. Niyi Osundare is Nigeria’s most acclaimed poet. He turned 70 only some day ago, on March 12th. In his home Nigeria he is honoured with an impressive event organised on World Poetry Day in Ibadan. 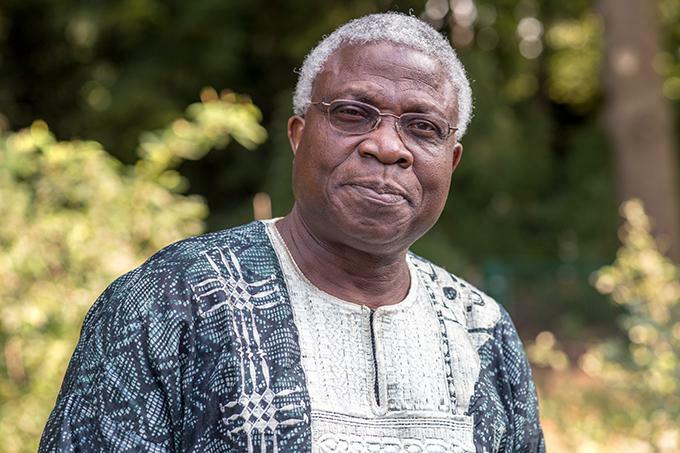 On the occasion of his 70th birthday and World Poetry Day we are proud to present Niyi Osundare on lyrikline where you can now listen to him read seven of his poems. Remi Raji of Diktaris, the Nigerian partner organisation of lyrikline, pays tribute to this great Nigerian poet. The gardener of redolent words, the warrior of light, is three scores and ten years on Mother Earth. Niyi Osundare is undoubtedly one of the most enduring voices of Nigerian second generation poetry. Fire in the bushels of barbarians, scourge of tyrants and traitors, the predictable voice against the conclaves of corruption, he of million metaphors, neither tired nor tiring of speaking truth to crookedness in high and low places. Born on March 12, 1947 in Ikere-Ekiti, Nigeria, Niyi Osundare has achieved solid fame through hard work, diligence, and a dogged commitment to creativity and intellectual distinction. Grand and multiple award winner for his numerous books of poetry, he is always in great and real elements in the classroom, as trainer and high priest of knowledge. I am certainly not the only witness to Osundare’s unique teaching style…being one in a long list of his Creative Writing students at the University of Ibadan, Nigeria. Chinua Achebe teaches us a masterful and disarming narrative style filled with both lessons and puzzles; Soyinka bequeaths to us a large canvass of artistic genius and political daring; and Okigbo, the combination of the puzzle and the daring that the real author is all about, provides us with the limitless possibilities of the Muse, the true excitement of imagination. In his poetry and essays, Osundare, the scion of Osun captures the vagaries of the African dilemma, with the deep emotive insight of a revolutionary artist. Always, he queries the “jangling discord” of the Nigerian nation in a harmonious language made for intimacy and intelligibility; he draws consistently on the heritage of Yoruba verbal elegance which he transforms onto the graphic and permanent intelligence of the written word; for him the page is only a tangible site for the performance of the poetic text, and the voice, with the atmosphere of delivery, is the thing. To read a poem sitting, or standing like Sigidi, he insists, is to commit an abominable act, a disservice to the pageant of the enchanted word! Indeed, Niyi Osundare is the poet of the alter-native tradition par excellence. Global Nigerian. African Patriot. Engaging Poet. Three odd things to be at the same time, at all time, Niyi Osundare continues a healthy dialogue with his country and continent, without apologies, without compromise and without anxieties. Master of romantic and satirical verses, his most recent poem to the Nigerian/African public sphere is indeed both topical as it is provocative: “My Lord, Tell Me Where to Keep Your Bribe”. We celebrate Olosunta’s child, Katrina’s survivor, we celebrate decades of unrelenting writing and activism. Many hearty cheers to the author of Songs of the Marketplace, Village Voices, A Nib in the Pond, The Eye of the Earth, Moonsongs, Songs of the Season, Waiting Laughters, The Word is an Egg, Tender Moments, Random Blues…etc. May many more celebrations come and go like the rains in the predictable hour. Participants include Nelson Fashina (author of Gods at the Harvest, 1998), Ademola Dasylva (ANA Poetry Prize winner, 2006), Tade Ipadeola (NLNG Poetry Prize winner, 2013), Jumoke Verissimo (Creative Coordinator of Ibadan Poetry Foundation, and author of I am Memory, 2008 and The Birth of Illusion, 2015) and Matthew Umukoro (author of Dross of Gold, 2002). Also scheduled to perform at the event is a list of emerging and engaging Nigerian poets like Funmi Aluko, Ibukun Adeeko (Winner of the Babishai Poetry Prize, 2015), Charles Akinsete, Ndubuisi Martins Aniemeka, Bartholomew Akpah, Sola Ojikutu, Oladele Noah, Oredola Ibrahim, Theo Edokpayi, Danladi Sunday, O’Busayor, Saddiq Dzukogi (ANA Teen Author Prize winner & Brunel International African Poetry Prize, 2017 Shortlist) and Rasaq Malik (Brunel International African Poetry Prize, 2017 Shortlist). The venue of the programme is the Faculty of Arts Quadrangle, University of Ibadan, Ibadan. This is an Open Event. 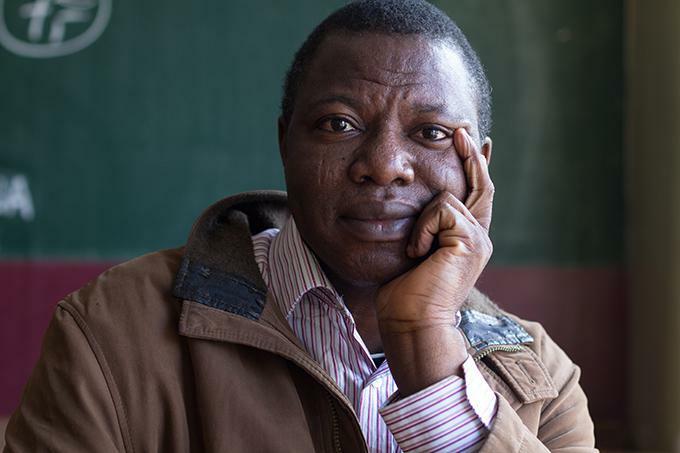 Remi Raji is a Nigerian poet, scholar, literary organiser, and cultural activsit. He is a member of the lyrikline partner network with Diktaris and his poems can be read and listened to on lyrikline. We would like to raise your awareness to current happenings and a heated debate in Prague where the social and cultural centre Klinika is threatened with closure. Authorities refused to extend their lease of an old building that once was a sanatorium for consumptives. Over the last year the Klinika activist group breathed new life into the old premises by organising cultural events and providing aid for homeless people, migrants and refugees, supported by many volunteers. In the last days and weeks hundreds and thousands of Prague’s citizens spoke out against the closure in demonstrations and events organised to support the centre. More than 30 Czech writers wrote an open letter to support Klinika, among them many poets, e.g. Jáchym Topol and Jonáš Hájek. They organised readings to support the centre. We think that support and solidarity for Klinika is important also beyond Prague and the Czech Republic so we hope this reaches out to many people and places. We are happy that the poets Jáchym Topol and Adam Borzič wrote us some lines about their thoughts and the situation which we can post here in English thanks to @olga_pek. The Klinika Autonomous Social Centre in Prague is a centre of volunteer help on many levels – from regular shipments of clothes and necessities to refugees and the Zdrojovna (“Sourcing Room”) freeshop, to a homeless kitchen, pre-school kids centre, foreign language school (including Czech as a foreign language) as well as a cultural hub (hosting readings and lectures). It came into being about a year ago, in an outstanding feat of public involvement across the Czech society. Klinika is run exclusively on the basis to civic cooperation and volunteering, with no financial donations or grants either from the state or private companies. While in state ownership, the premises of the former clinic have been dilapidating for many years before the Klinika collective managed to breath a new life into it. Since then it has become the symbolic lungs and heart of the Czech civic society. Now, after a year of exemplary functioning, during which Klinika successfully won the support of the majority of publicly involved citizens, the state authorities have refused to extend Klinika’s lease contract, citing several bureaucratic obstacles. This comes only a few weeks after an attack by right-wing extremists on Klinika, which took place on the same day that saw demonstrations in Prague both for and against migration. It is precisely as a symbol of the civic society extending help to refugees that Klinika became a target of the ultra-right-wing hooligans. Many NGO’s and individuals, including those coming from the progressive part of the political representation, have pledged their support to Klinika. Over 30 Czech writers have expressed their support for Klinika in an open letter, many of them well-known poets and authors of fiction. Despite that, the Autonomous centre has been called upon to evacuate the premises. The collective decided to occupy the space and is now trying to negotiate with the authorities. It seems obvious that the attack on Klinika, launched by the state authorities, is politically motivated and serves especially those who peddle xenophobic and fascist inclinations and populism. Clearly, Klinika seems bothersome because it stands for a non-market, humanistic and communitarian approach to life. This is one of the reasons why many of us, Czech poets, support the Autonomous centre. Having worked for a year in order to foster conditions where local culture and refugee help would blossom, the volunteers from Klinika centre were attacked by a fascist commando. The public officers who now refuse to arrange the legal adjustments necessary for Klinika to keep working not only harm a good cause, but also in fact assist in moving the Czech Republic further to the East, somewhere into the “Putinzone” and in close proximity of attempts at a total control of the society. This video was shot by Ondřej Mazura at a Klinika event last weekend and shows a reading of poet Adam Borzič in the occupied building. We at lyrikline and Literaturwerkstatt Berlin (Haus für Poesie) support Klinika and hope they will be able to continue their humanitarian and cultural work for a tolerant society. We wish all the protesters who stand united perseverance and, finally, success! We ask for your solidarity, for example by spreading the news or signing the petiton (see below). Wisława Szymborska – Now on lyrikline! Today, the 1st of February three years ago, is the day Wisława Szymborska, the great Polish poet died in Kraków. On this occasion, we are incredibly happy to be able to present you some of her poems on lyrikline, in her remembrance. She really was a “Mozart of Poetry”, as many call her – and a modest one! In 1996, she won the Nobel Prize, donated all of the Nobel Prize money to social projects and held one of the shortest thank speeches ever in Stockholm. She actually mockingly divided her life in a “pre-” and a “post-Nobel-catastrophe”-period, as all the attention she got after 1996 was more of a burden to her, who never seeked public attention. It is such warm and precise irony that also characterizes many of her poems. Apart from this ironic perspective, it is not easy to describe Szymborska’s poetry as a whole, as it is so diverse. In fact, each poem is unique in its own way and it is precisely that which makes them all so irresistible. From today on, you can listen to her yourselves on lyrikline, thanks to the kind permission of the Wisława Szymborska Foundation. This is also a great address if you want to get some additional information and videos, etc. With the help of our network partners we were also able to add translations (Croatian, Belarusian, Estonian, Swedish and German) and more will follow soon, for sure! This article was written by Carla Hegerl, lyrikline intern who helped preparing and editing Szymborska’s page on lyrikline. Right before the end of this year we invite you to take a look at what’s going on in the Czech poetry world. Internationally, not very much has been heard of Czech poetry in the last years. At least two developments will certainly do their bit to change this. First of all, and sort of household news, we started a partnership for lyrikline in the Czech Republic this year and are happy to publish the first three poets resulting from this partnership. Enjoy the poetry of Jaromír Typlt, Kateřina Rudčenková, and Radek Malý. Moreover, a group of about 30 Czech poets and writers founded a Writers’ Association at the end of November 2014 in Prague. The founders of this organisation were discontent with the current professional organisation, the Writers‘ Guild, and felt it had failed to defend the interests of writers. The new association aims to strengthen the Czech literature landscape as a whole, to be a credible partner in negotiations with government institutions, and to establish international collaborations. More Czech writers are expected to join the new organisation. Already among them are the poets Adam Borzič, Ondřej Hanus, Ondřej Buddeus, Božena Správcová, and Jonáš Hájek. 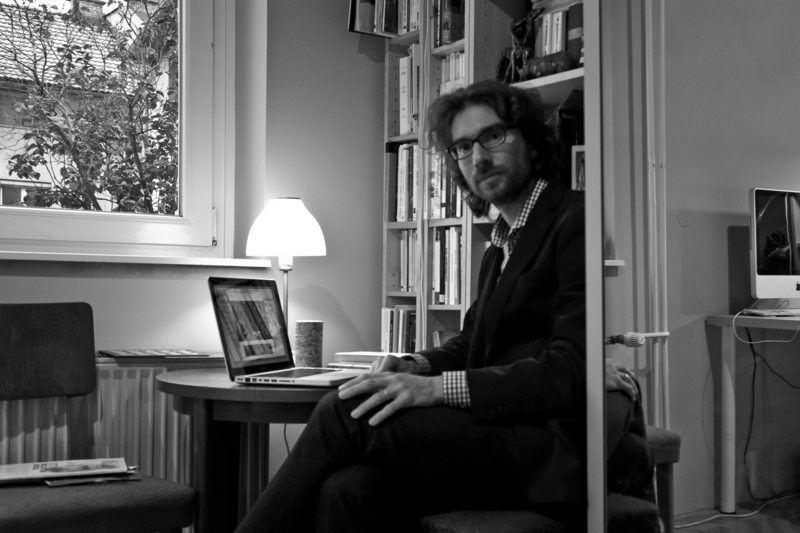 Read more about the newly founded Writers’ Association on CzechLit. And here’s a German language radio feature of Radio Prague about the new group. We had been eagerly awaiting the “relaunch day” for months. As of 1 September, the new lyrikline is up and running! Many people helped to bring the new site into life and many people came to celebrate with us and followed the relaunch event at c-base in Berlin or online via live stream. For all who couldn’t be there or want to relive the event here’s a little summary. Heiko Strunk, who managed the project right from its start in 1999 and masterminded the website relaunch, gave us a showcase tour of the site and introduced all the new features. Next to the five existing languages to navigate the site which were Arabic, English, French, German, and Slovenian there are four new languages: Chinese, Portuguese, Russian, and Spanish. The new site opens new ways to access the content of lyrikline so the users don’t get lost amidst the 900 poets, 8,000 poems, 11,000 translations or 60 languages of poetry. Next to thematic teasers, the start page offers a radio like theme stream, recommends poems or poets to discover and informs about new content. From the main menu you can now select poets not only from A-Z or by languages but also by countries and you can browse the site by poems also, e.g. many poems can be found by categories like humorous poetry or issues like alcohol & drugs and many more everyday life topics. Have a look at the new design of the poem page, lean back on your couch after you selected „listen to all poems“ by your favourite poet or find the needle in the hay by using the new search and its dozen refinement options. Moreover, you can remember content, create your own lists or explore what other users like by becoming a member of the community. Whatever access point you start from to explore poetry on lyrikline you’ll be able to find all the six poets who performed at the relaunch event on stage in Berlin, be it Finnish poet Helena Sinervo or Norwegian Simen Hagerup, who were both published on the site during the live event, Els Moors from Belgium, Pedro Sena-Lino from Portugal or the German poets Steffen Popp and Jan Wagner. Since the latter is the most translated poet on lyrikline his poem champignons was read on stage in the languages of all the present poets. 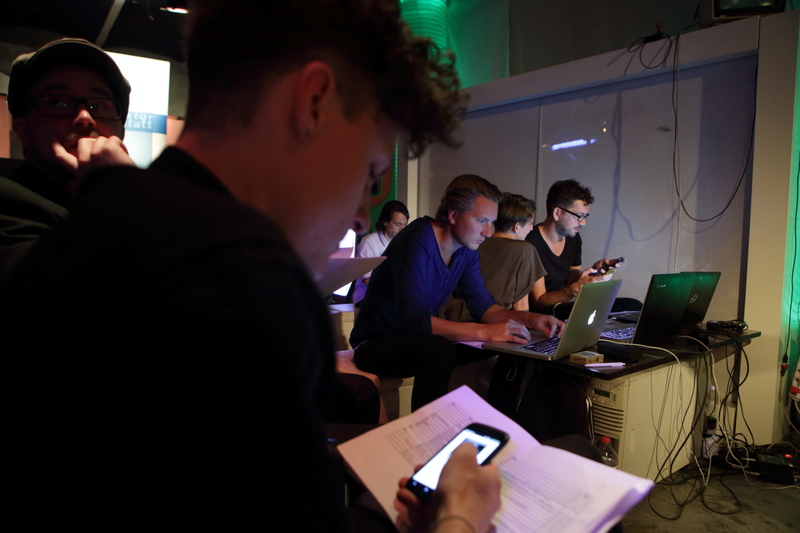 To give the lyrikline users the chance to follow the event via online streaming was a main aim since lyrikline is a web project and its main audience is sitting at a computer and not in front of a stage. 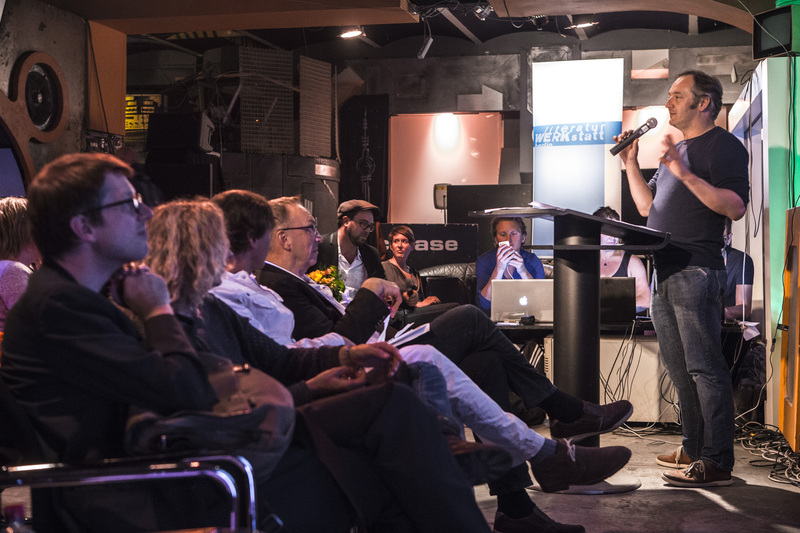 Another idea was to establish live video connections to our partners and to poets in Nigeria, Russia and Slovenia during the event. In the end this did not go as well as we hoped and not nearly as well as it did when we ‘practised’ two weeks before, meeting in our first google hangouts session to check if we can all hear and see each other. At least we could hear Russian poet Linor Goralik read a poem in Moscow that night, but due to technical problems, the session sadly hardly worked and there was a lot of desperate asking „Can you hear me?“ This photo of a waiting Andrej Hocevar in Slovenia portraits the unlucky attempt. The more we’d like to thank the patient poets Linor Goralik in Russia and Benson Eluma in Nigeria and the partners Andrej Hocevar, Dmitry Kuzmin and Remi Raji who put a lot of time and effort in this. It’s a shame it did not really properly. Other connections to the outer world were more successful. It was fun to read what Julià Florit and Thomas Andersson, the partners from Catalonia and Sweden wrote while they took over our lyrikline facebook and twitter accounts to post some impressions of the event. The two of them and poet Els Moors also formed the jury that selected their favourite „space poems“ which were sent for the relaunch by users answering an open call. The space topic was inspired by the event venue, the c-base „space station“ in Berlin which is an association of IT activists and their headquarter was a great place for the lyrikline relaunch event. We’re happy that with the relaunch, this new era of lyrikline has finally started. It’ll certainly take a good while before all the little bugs left on the new site will be found and fixed. Continuously, more and more poems will be sorted into the categories, more new poets will be published and ideas for new start page teasers will have to be found. It is, as it was, work in progress so stay tuned and visit the new site every now and then. Thank you all for coming to the relaunch event, for watching it online or for following the whereabouts of lyrikline!